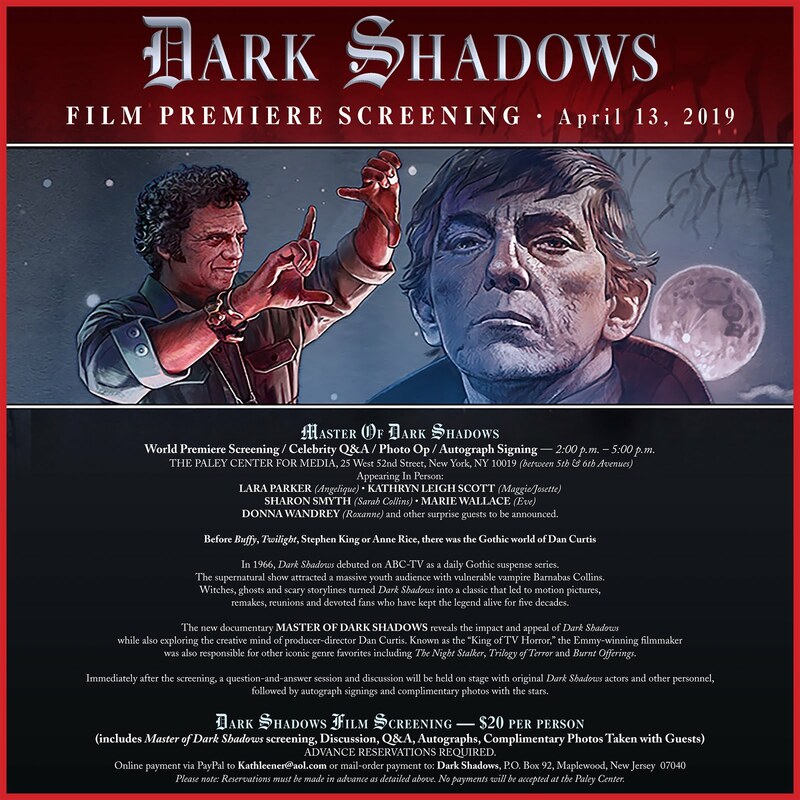 By now you've probably already heard about the upcoming documentary about Dan Curtis titled Master of Dark Shadows. (If not, you can take a gander at the trailer, summary and list of special features HERE.) 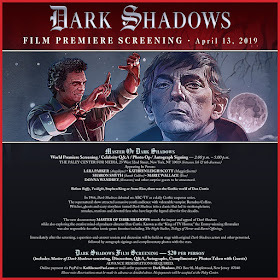 Set for release on Blu-ray on April 16, you've got a chance to catch the documentary on the big screen earlier that week in New York City ... with members of the Dark Shadows cast! There have been a few changes to the premiere sceening in recent weeks. The bad news first: the April 13 dinner reception event has sold out. The good news: A few more members of the original cast have been added to the guest list. Click on the image above to read the details. You can pre-order Master of Dark Shadows from Amazon HERE.